Ever since Justice League premiered in theaters, or Zack Snyder has taken to social media to unveil glimpses behind the scenes of his long-awaited DC Films project. Given the change in directorial duties for the reshoots and the massive changes brought on by Joss Whedon, there's been question over what was left from Snyder's initial vision of the film. Now Snyder has revealed new photographs on social media from scenes that were not shown in the final cut or in the deleted scenes, including one from a major sequence that was included in shots of the film's trailers. While fans are clamoring for a version of the Snyder Cut, many people involved have intimated that such a version does not exist and that producing one would require significant resources Warner Bros. is not eager to spend for a film that was not a resounding hit. And yet, that hasn't quelled fans desires to see the original director's version of Justice League. And Snyder's social media antics aren't quelling the conspiracy theories among his most ardent supporters. This shot of Jason Momoa is very perplexing, considering Aquaman's participation in the theatrical version was very minimal. He rebuffs Bruce Wayne's requests for help then shows up when his Aqua-senses go off and his home city is attacked, Mother Box stolen and all. We already know they basically reshot the entire sequence between Ben Affleck and Momoa in the small fishing village. But other than the obvious changes in the Batman actor's appearances between filming schedules, there's no obvious reason why. Perhaps there was a bigger reason having to do with Aquaman and a fateful road trip that didn't make the final cut. 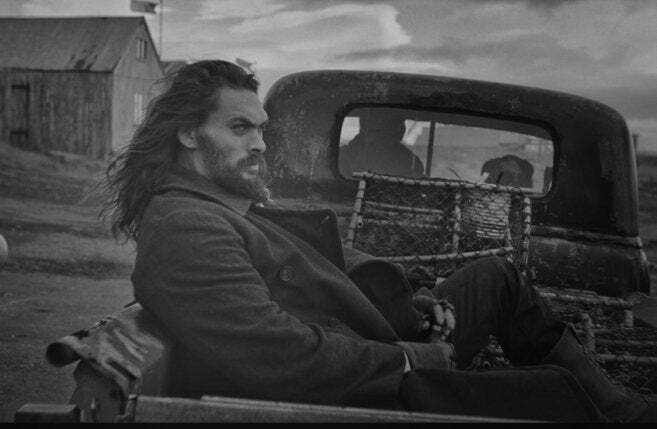 No matter the reason, we're intrigued and want to see what reason Arthur Curry has to ride in the back of at truck. HASHTAG RELEASE THE SNYDER CUT. 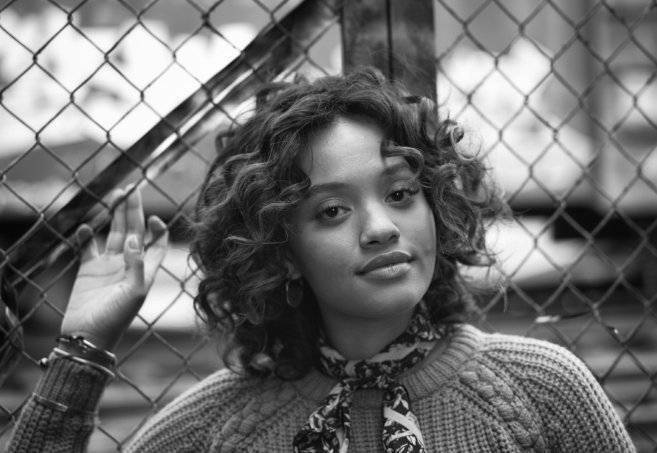 There's a question over whether or not Kiersey Clemons will appear as Iris West in a future film, especially with questions over the future of DC Films. Clemons completed her scenes as Iris for the movie despite none of them being included in the final cut. Fans can glimpse at some of them in the trailers, specifically the sequence when Barry Allen (Ezra Miller) taps a glass window, causing it to shatter. That was part of a sequence when Flash rescues Iris from an intense car accident, and Clemons was very excited about her participation, according to an interview with ComingSoon.net. "I finished all my stuff with Zack [Snyder], I wish him well and I have no idea what’s going on right now but I’m sure whatever they’re doing is necessary." Clemons said. "I know the parts that I did introducing Iris are f---ing sick. I can’t wait to see the movie. I’m so happy that I’ve been introduced to this genre because I didn’t really have any type of desire to be a part of any superhero world. And then I stepped on the set of Justice League and I was like, 'Holy s---. All right!'" 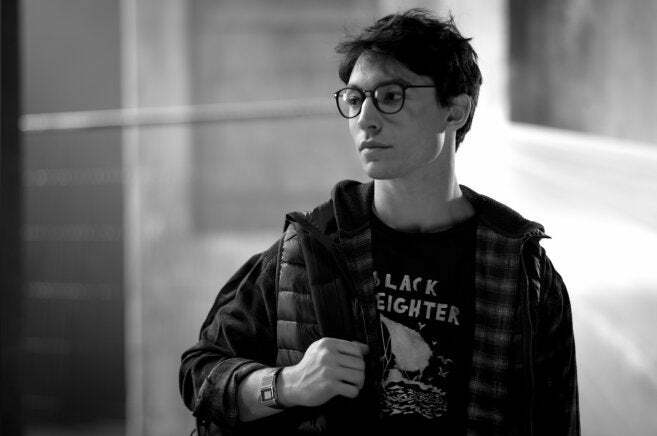 There's also the reveal of Ezra Miller's Flash, in all of his bespectacled glory. This photo is also loaded with context that fans will pick apart, considering the t-shirt. Barry Allen never appeared in this clothing in the film, but it just goes to see how how much Snyder cares about the comic books he's come to adapt. Allen's shirt appears to read "Black Freighter," depicting a pirate ship sailing the sea. This is an obvious reference to the original Watchmen comics by Alan Moore and Dave Gibbons, as previously discovered. But Miller never appeared in glasses in the finished film. And while this could have been taken between takes, it's likely that this was part of a major sequence cut from the film. Snyder takes a lot of care in the visual aspects of his films and would not include such a huge easter egg in a throwaway scene. The shot of Amy Adams and Diane Lane speaking in the Kent family kitchen as Lois Lane and Martha Kent is particularly interesting. One of the few scenes the two share dialogue together comes in the break room of the Daily Planet, meaning Snyder probably filmed more scenes having to do with Superman's supporting cast. Of course, there are rumors of huge swaths of Superman-centric scenes being cut from the film, which could have to do with the executive mandate of a shorter runtime or the changes Whedon made to the finished product. We already know of the black suit scene that was cut from the movie, but what other scenes focusing on Clark Kent were eliminated from the movie? Justice League is now available on Digital HD, and will be released on Blu-ray and DVD on March 13th.